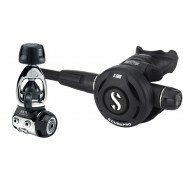 The C350 is the most compact second stage in SCUBAPRO’s line, so takes up little space in a travel bag. The MK11/C350 is a great choice for dive-trekkers. The balanced diaphragm MK11, with its chrome-plated brass body specially designed to reduce size and weight, is an ideal travel companion. Its system features internal parts that are sealed from the elements. It breathes smooth and easy, and offers an inhalation effort control knob and a Venturi-Initiated Vacuum Assist (VIVA) dive/pre-dive switch. With this system in your dive bag you'll be ready to hit the road. • Air balanced diaphragm design delivers constant and effortless airflow unaffected by depth, tank pressure, or breathing rate. • Marine grade brass body has sealed internal parts to prevent water and pollutants from fouling the inner mechanism while enhancing cold-water performance. • Two high pressure, two low pressure and two high-flow ports maximize hose routing options. • Compact body and exhaust tee take up little space in a travel dive bag. 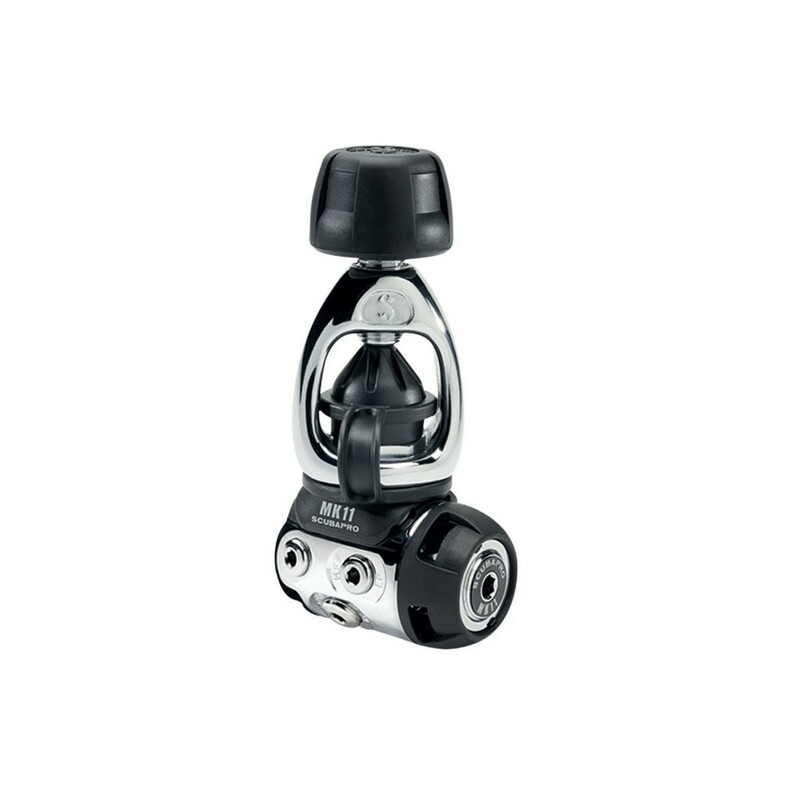 • Stainless steel frame on the front cover and inhalation control knob. • Optimal Flow Design incorporates a special barrel and poppet valve to produce maximum airflow under any diving conditions. • User controls include a diver-adjustable inhalation effort knob and Venturi-Initiated Vacuum Assist (VIVA). • Large purge button is easy to activate, even wearing thick gloves. I have been using this reg for 6 years now and it has never let me down. It breaths just as well deep as it does shallow.